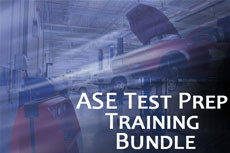 The ASE T8 certification course is taught to insure you have a thorough understanding on the topic of T8 Preventive Maintenance Inspection (PMI) training with details on: Engine Systems; Cab And Hood; Electrical/Electronics; Frame And Chassis; and Road/Operational Test Note: The ASE-T8 Test Prep Study Guide is NOT downloadable and may only be viewed online. This ASE T8 certification course provides a detailed explanation of all the topics that will help you successfully pass the ASE T8 certification exam. 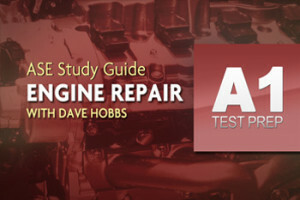 The Medium/Heavy Truck Heating; Ventilation & A/C Study Guide contains an ASE certification practice test with questions that simulate questions very similar to the T8 testing experience. The ASE T8 certification course is taught to insure you have a thorough understanding on the topic of T8 Preventive Maintenance Inspection (PMI) training with details on: Engine Systems; Cab And Hood; Electrical/Electronics; Frame And Chassis; and Road/Operational Test. In addition to the easy-to-read text, the Motorage T8 Medium/Heavy Truck Preventive Maintenance Inspection (PMI) Self-Study Guide contains dozens of useful illustrations. 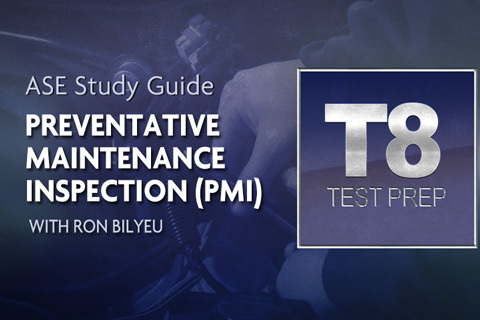 You’ll also find the T8 Medium/Heavy Truck Preventive Maintenance Inspection (PMI) Self-Study Guide to be a handy reference manual that you can use on the job after you’ve taken the ASE test. Note: The ASE-T8 Test Prep Study Guide is NOT downloadable and may only be viewed online.